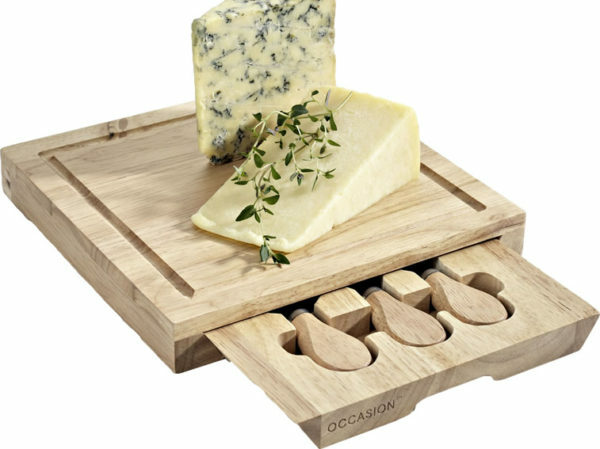 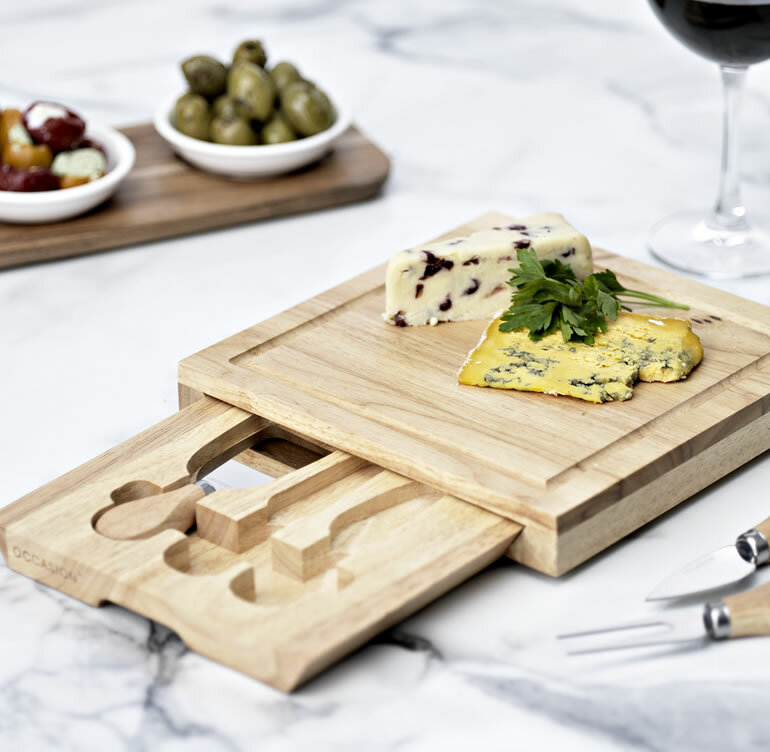 This delightful cleverly designed cheeseboard made from hevea wood is the perfect presentation for two to three cheeses, a few chutneys and a glass of wine! 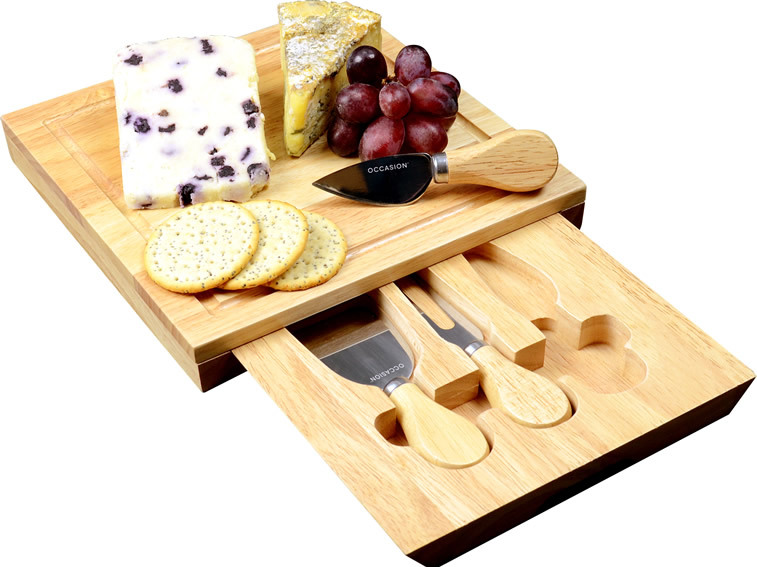 Skillfully concealed within the cheesboard are three knives which hideaway with class to leave a very tidy and smart edition to the kitchen display! Cheese knives include one each for Parmesan( or any hard cheese) and Stilton as well as one cheese fork, all hand finished with stainless steel blades and a matching hevea wood handle. 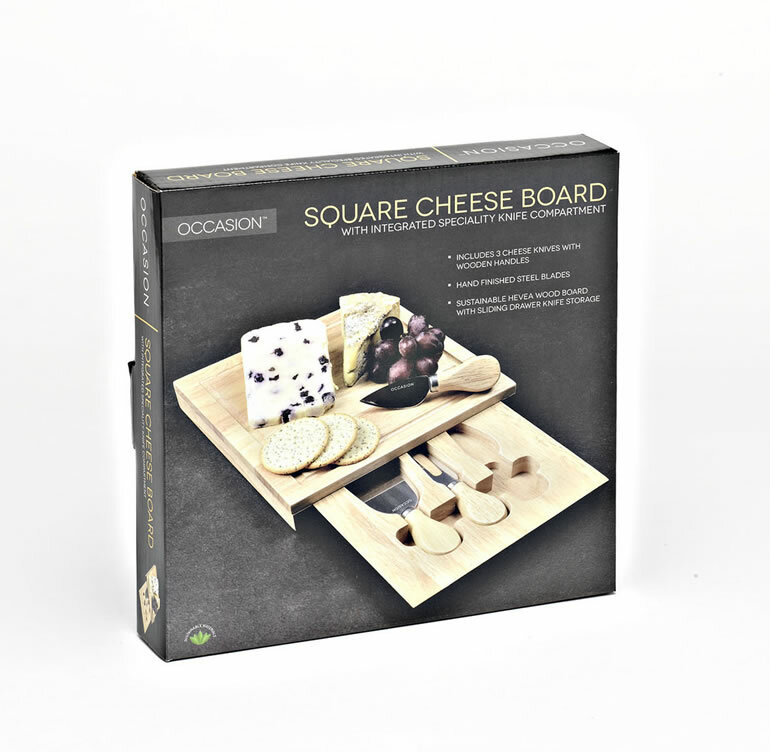 Presented in an attractive colour box! 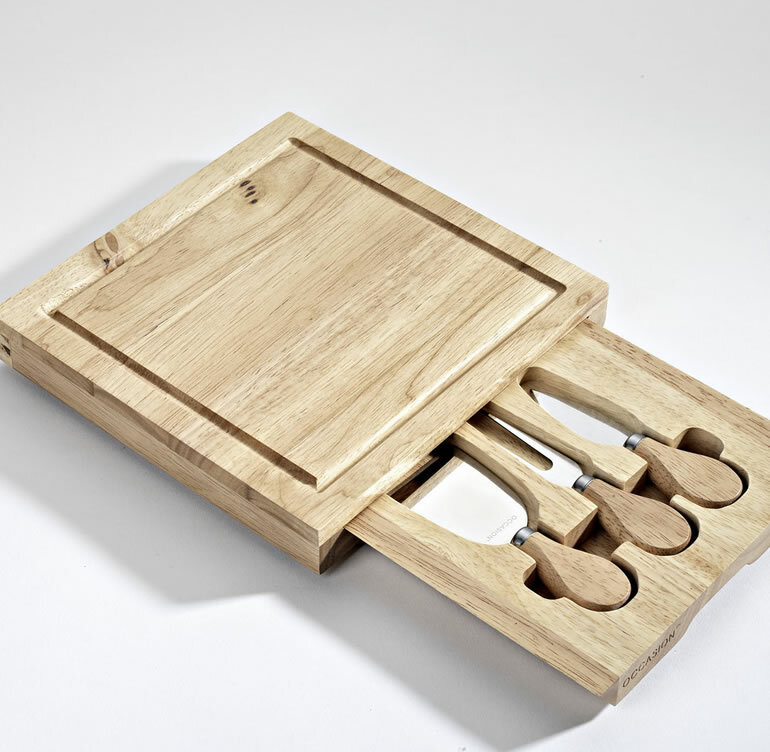 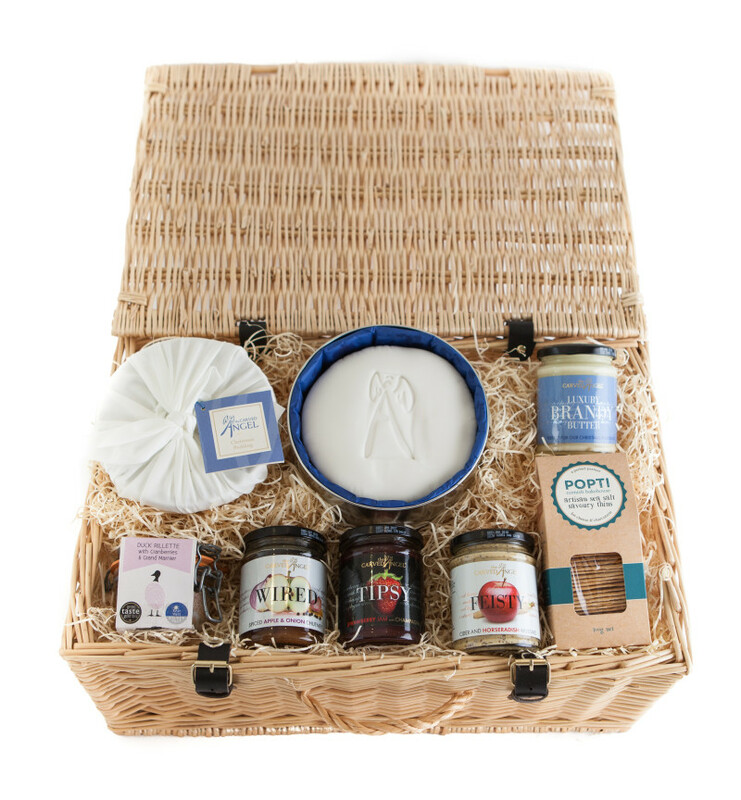 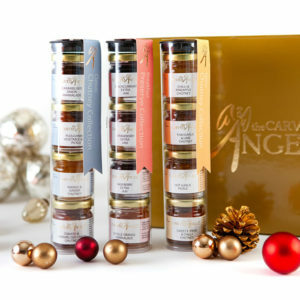 A superb present for the person who has everything!